Ducted Fan unit of the popular 89 mm Midi Fan class, both optimized for Sound and efficiency. This fan brings efficiency of multibladed fans o a new level. The one piece glass reinforced Nylon rotor comas calibrated and dynamically balanced. All components are compatible to the former Midi Fan pro. Mounting the unit involves a few steps only, but care should be taken. 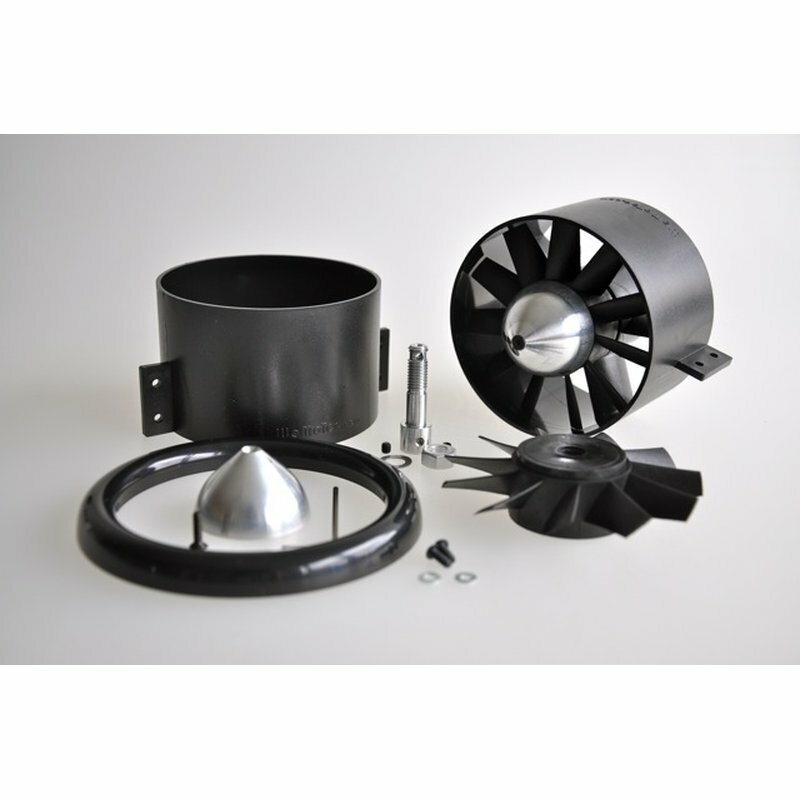 Alternatively this fan is available completely mounted, fine tuned and precision belanced as a combo with various motors.